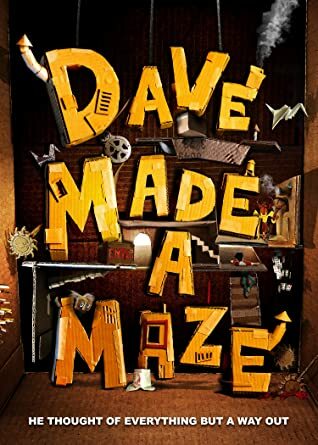 Gravitas Ventures has announced the DVD and Blu-Ray release of Bill Watterson’s critically acclaimed DAVE MADE A MAZE, which took home this year’s Audience Award for “Best Narrative” at the Slamdance Film Festival. Cassandra's Review- First of all not family friendly and it may actually scare your kids. It is laced with humor and the actors tried, I guess. All around I think that with maybe a real budget and some rewrites this could have been something better. As far as enjoying it, I did not. I also did not share this with my children. Sure some people will fall in love with the concept and movie overall but for me it was more of a time waster than entertainment.